Dr. Sandlin Seguin specializes in the creation of content for a visual learning platform. As trainees navigate through their graduate training and postdoctoral independence, they are exposed to many opportunities that allow them to develop skills that are beneficial to a career at the bench and along the many paths that entwine the scientific enterprise. Dr. Sandlin Seguin is one scientist that is surprised at where she landed, within the scientific landscape, when she looks back on her career path. Sandlin is an eLearning Specialist at Tableau Software in Seattle. Tableau makes data visualization software which provides effective solutions for business users and a growing segment of scientists to explore and share data using cutting edge creative software. She works on a team of nine individuals with backgrounds that range from software development, medicine, library sciences, to business. She expressed that “having this broad mix of skills on one team is essential to design finely tuned learning packages.” Her ability to become an integral member of this creative team stems from critical experiences she obtained during her graduate and postgraduate training. So, what exactly is an eLearning specialist? Dr. Seguin has what she refers to as a “buzzword job,” meaning it is a very popular at this point in time. Considering this, it is logical that her role in her current position has kind of morphed over time. An eLearning Specialist creates education content that is meant to be viewed asynchronously online. A key feature of what she is able to do is see data differently which provides her a great strength that aids in her ability to develop the visual aspects of content to make it more digestible to the consumer. First hearing of this specific job, it may seem like a one-of-a-kind opportunity but Sandlin states that the field is fairly large and is growing. Due to the large amount of growth in this area, Sandlin says, “it is easier to come into the field from a non-traditional background because there isn’t a standard already in place.” As scientists we are trained to take a project from a small beginning to create a new or deeper understanding to progress the field forward. Reapplying these skills to build a new field of expertise within a slightly different career is just an extension of what graduate students and postdocs are trained to do. So what exactly does it take to become an effective eLearning Specialist? 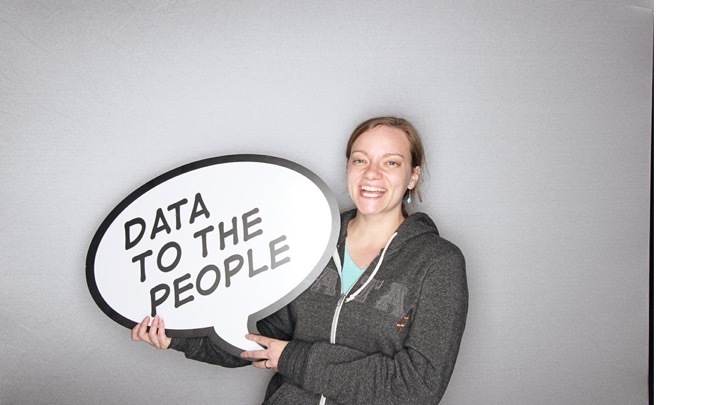 Besides the obvious connection between science training and data, there were a few other key aspects of Dr. Seguin’s training that prepared her for her career at Tableau. Not surprisingly, these activities took place away from the bench. First, she learned a little bit about how to teach by being a Graduate Teaching Assistant at the University of Pittsburgh, Department of Biological Sciences. While teaching opportunities take graduate students away from the bench, they are often a graduate student’s first opportunity to begin to really understand the extent to which individuals learn differently. The ability to recognize these differences is typically followed by the modification of how graduate students communicate about science to a non-specialized audience. The attainment of these skills has been a key feature of what makes Dr. Seguin successful at Tableau. Her position requires her to look at multiple data sets, interpret them, and then create content for a visual learning platform. This understanding of data, ability to interpret findings, and creating a visual interpretation that can be understood by a diverse range of consumers lies within the fundamental skill set of scientists. Training in science prepares individuals for a variety of careers, many of them away from the bench because the training encompasses a very large set of skills. As a graduate student, Dr. Seguin had a feeling that a traditional postdoc was most likely not the best fit for her career interests. Again, reaching into the toolbox she developed as a scientist, she began taking freelance work, eventually opening her own sole proprietorship. As a freelancer, she provided editing and copyediting service to scientists. This freelance work allowed her to get the experience she needed to begin working at Edgenuity in Seattle and then Bellevue College in Washington, where she wrote and designed lesson plans and assessments for a variety of STEM based courses. These positions provided a transitional platform for Dr. Seguin into adult learning and gave her an opportunity to spend more time learning content development while also observing other roles in the educations sphere that aided in shaping the direction of her career. Additionally, Dr. Seguin stepped out into the community doing outreach activities including volunteering as a scientist in residence at the Carnegie Science Center, developing hands on demonstrations to get young women involved in STEM activities. She followed this experience with additional volunteer work as an Executive Director of Education at HiveBio, where she focused on the development and implementation of non-traditional learning curriculum. Building this diverse range of skills as an extension of her work at the bench not only gave her tangible experience, it opened her eyes to the breadth of opportunities that are available to scientists entering the job market. Importantly, each of these experiences led to further training in science communication which has enhanced her ability to broaden and diversity the way content is delivered at Tableau. In her current position, she is at ease communicating about science with scientists. She can discuss their science and data while also communicating the benefits her company can offer to further progress their work. One thing is clear from looking at Dr. Seguin’s career path, her training in science has provided the skill set she needed to open up a diverse range of career paths. These experiences also allowed her to identify what she did and did not like to do within a variety of interrelated career paths. However, her initiative to explore a variety of training opportunities was important in making her transition away from the bench successful. As her role in graduate school changed over time, Dr. Seguin also expects that her current role with Tableau will continue to change and shift over time as she develops her skills and strengths, providing her with many opportunities for her own personal development.